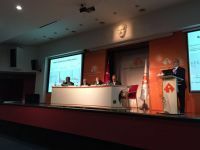 ‘’Freedom of Movement of Lawyers in the European Unıon’’ titled Conference was held at İzmir Unıversity of Economics Multi-Purpose Hall on May 12, 2015 by cooperation of IUE and the European Law Students Association (ELSA) İzmir. IUE Faculty of Law Dean Prof. Dr. Huriye Kubilay, ELSA Izmir Board Chairman Damla Şişdağ and ELSA Izmir Vice Chairman Atahan Erkul made opening speeches.Following the openings, presentations were made by Austrian Honorary Consul Att. Ulkü Caner, Director of IUE European Research and Application Center Asst. Prof. Dr. Alexander Buergin, IUE Faculty of Law Members Asst. 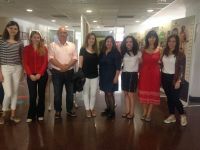 Prof. Dr. Ebru Karademir, Asst. 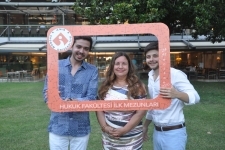 Prof. Dr. Ebru Ay Chelli and Asst. Prof. Dr. Esra Katıman. 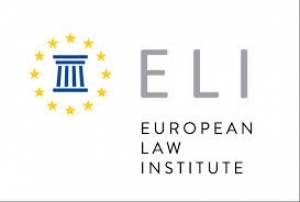 Students and academic staff from various universities and ELSA members attended the Conference in which free movement of persons in the EU with the emphasis of Turkish Lawyers was discussed. Following the questions and discussions, thank you plaquettes were presented to the speakers. 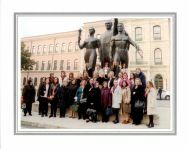 IUE Faculty of Law members and ELSA students made a wish for the continuation of such cooperations. Conference was followed up by the Concerts of IUE second grade law students' music band called ‘’Grup Karakutu’’ and IUE music band named ‘’Grup Turuncu’’.